Derry GAA would like to congratulate the players, management, families and all associated with the Kevin Lynch’s hurling club on their tremendous and inspirational success. Legacy is one of the cornerstones of the GAA. 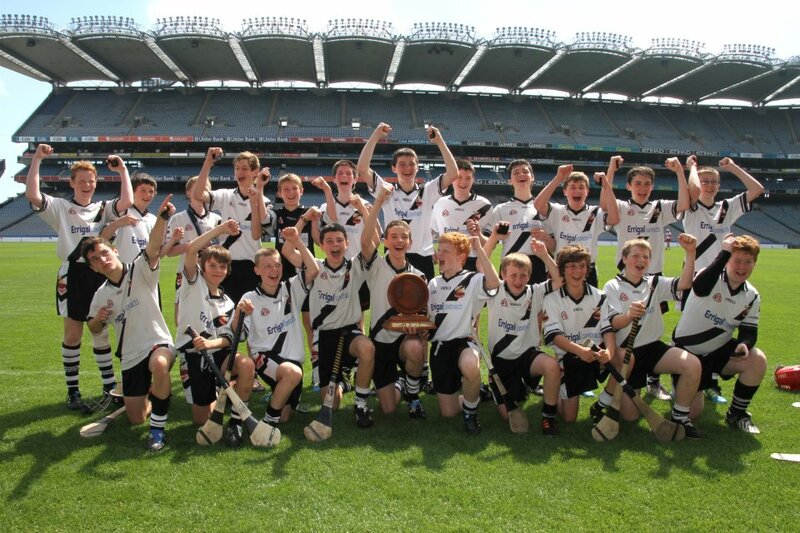 A wave of legacy swept through Croke Park today, as the young hurlers of Kevin Lynch’s Dungiven claimed an All-Ireland Féile na nGael title. 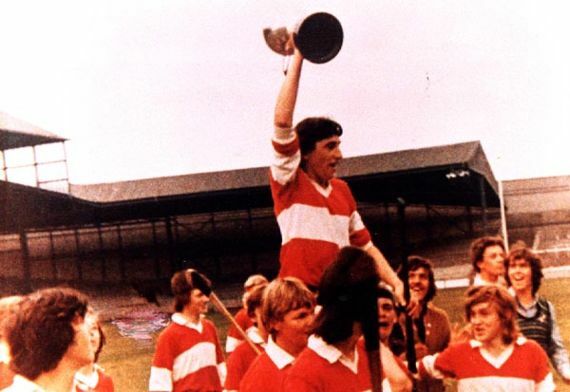 In 1972, a young Dungiven man led his county to an All-Ireland u16 hurling title. Generations later, young players from the club which bears his name climbed the same Hogan Stand steps as winners, led by captain John Mullan (III). The pride, happiness and sense of history was overwhelming. Looking around the talented group of hurlers, the names sound familiar to followers of gaelic games in Derry. It was nearly thirty years ago when Liam Hinphey snr led a similar group of young men to a Feile title, amongst them a young Kieran McKeever. When Kieran’s son Oran hit the Croke Park net in the opening minutes of the final to set his team on the path to victory, the historical resonance rang loud and clear. Having come to the final with a unbeaten record, the young Lynch’s were never going to let their title ambitions slip from their grasp. Hosted superbly by the St Oliver Plunkett’s club, the players showed their hosts no return favour on the field of play as they ran out comfortable winners. With additional victories achieved over St Jude’s (Dublin) and St Brendan’s Ardfert (Kerry), culminating in a semi final against Trim (Meath), the Derry lads hurled superbly and ran out comfortable winners, setting up a Croke Park finale against Celbridge (Kildare). As they had done throughout, the young Lynch’s stormed their opposition early and with goals from McKeever and McNicholl book-ending the game, the title was heading north with a journey over the Glenshane to come. True to the spirit of Feile, the young hurlers of Kevin Lynch’s have won respect, collected memories and forged lifelong bonds that will serve club and county well for generations to come. When it comes to legacy, that is about as good as it gets. Kevin would indeed be proud.